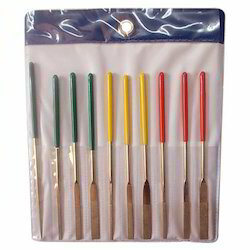 Leading Manufacturer of electroplated diamond files, diamond taper files 12pcs set, diamond riffler files 12pcs set, diamond taper files, diamond needle files and diamond files from Mumbai. 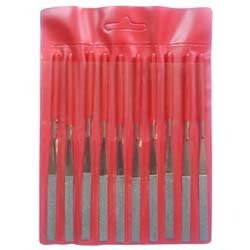 We are a prominent manufacturer, trader, and supplier of a wide assortment of Electroplated Diamond Files which provide fast, cool and efficient cutting, the offered products are manufactured using high-grade material and the latest technologies, as per with set industrial standards and norms, also we use electroplating technologies of tools. Along with that, these products are tested on numerous parameters to make certain their quality from our end. We offer wide range of Taper Files that are supplying by us, using high grade material procured from trusted and reputed vendors. These are known for features like corrosion resistance, strength, robust design, durability, high performance and dimensional accuracy. Clients can customize these as per their needs and requirements and avail these at very nominal prices. The clients can avail from us exclusive range of Riffler Files. Our product range is best in quality and high in durability. 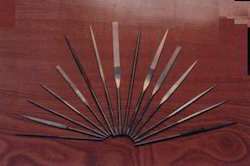 Riffler Files are widely used by woodcarvers and sculptors. 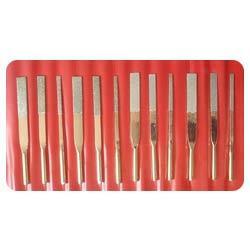 These files are sharp and can easily carve hard wood and can also reach to places that are difficult to access. Our range is widely acclaimed by the clients for its quality strength, resistance to corrosion and long service life. Our range of Diamond Taper Files is widely used for any kind of precision filling job and is available as individual files in a varied range of shapes and sizes such as flat, triangle, knife, square, round, half round and several other handy assortments. 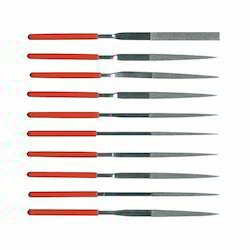 We hold expertise in offering an exclusive array of Diamond Needle Files. 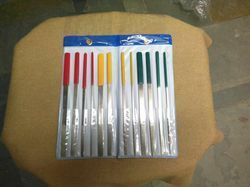 These needle files are manufactured with top grade of material and contemporary technologies, in adherence with market standards. 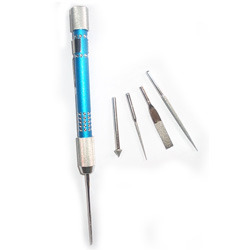 Our offered needle files are provided in various customized forms as per the divergent needs of our customers at the most affordable rates. Backed with a team of skilled professionals we are actively engaged in offering Diamond Files. These diamond files are highly applauded by our customers, owing to their smooth finish, weather & thermal resistance. In addition to this, these diamond files are properly checked by our skilled professionals in order to provide defect free range to the customers. These diamond files are provided to our customers at affordable rates. With our rich industry experience we are offering our clients utmost quality of Diamond Slitting Saws which is used in diamond industries for cutting and shaping it, these slitting saws are provided in all standard sizes as per the needs of jewelers. Our slitting saws are manufactured using optimum quality material which ensures durability and reliability. 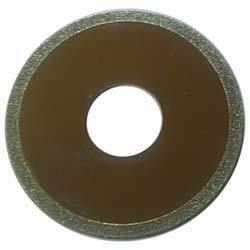 These slitting saws are checked from our end so as to deliver a flawless range. In order to meet the diverse requirements of the clients we are offering Diamond Sharpeners. These sharpeners are manufactured with top grade of material and contemporary technologies, in adherence with market standards. Our offered sharpeners are provided in various customized forms as per the divergent needs of our customers at the most affordable rates. 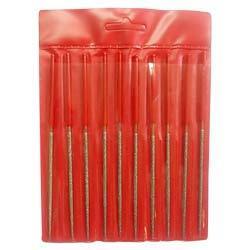 Our range of Diamond Thin Files is widely demanded across the country. We hold specialization in offering standard and customized solutions to our clients at reasonable prices. Moreover, thin files of 0.6mm thickness is available according to the client's requirement. We are an eminent name, engaged in delivering Diamond Riffler Files which is use to cut material, these products are highly applauded by our customers, owing to their high efficiency with long service life. In addition to this, these products are properly checked by our skilled professionals in order to provide defect free range to the customers.